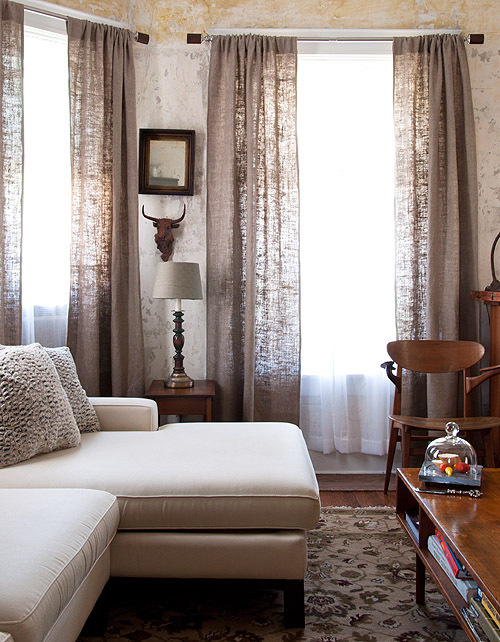 The Saint James Kingston guest reviews of the property and home. Read what guests had to say about staying at the Saint James Kingston located in Uptown Kingston in Upstate New York. Michael C Hall: AKA "DEXTER"
Michael C Hall aka Dexter (Lead actor for Showtime's TV series, Dexter) stayed at The Saint James Kingston, during the filming of his new film, Cold In July, in Kingston. Michael C Hall rented out the entire property with all bedrooms and access to The Saint James' gardens and outdoor grounds for over 2 months during the film's production. Michael loved his stay here and told us that he enjoyed the home and described it as, "beautifully appointed". "I had never met Julian and his partner, a New York City-based artist/designer couple, when I stayed at their house for the first time. Their home, dubbed “The Saint James,” doubles as a weekend retreat for travelers and, last winter, I had the pleasure of staying there with a few friends. 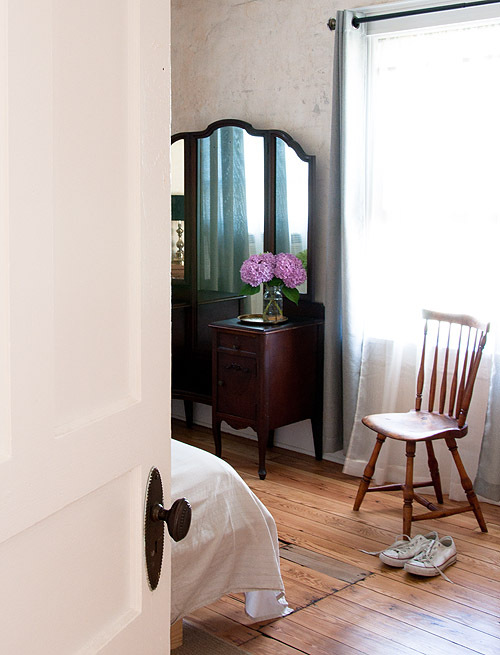 Located in the middle of Kingston, New York, a charming Hudson Valley town seemingly ripped from the pages of a Normal Rockwell book, the cozy house is filled with a mixture of modern and vintage finds, rustic charm, and quiet decadence. From its lavishly appointed sitting room, outfitted in stylish hood chairs and antique pieces, to the organic vegetable garden in the back, I got the sense that transforming this house had been quite an undertaking—a labor of love and countless years of work..." —Max"
A wonderful, relaxing home in a great town!!! "Julian was very accommodating and pleasant to deal with. You can tell that he enjoys doing this. The house was as pictured and was very comfortable for us even in the summer time. We had 4 guys staying there for a wedding and we had plenty of room. "Julian was super quick to respond to all requests and concerns. The house was just as photographed. Towels and games come with the rental and the kitchen was fully stocked with pots/pans and baking materials - perfect for our friendly cook-off! The beds were comfortable and each bedroom had its own rustic charm. And the home was situated in a super convenient location for grocery shopping and parking was abundant. Beautiful house and super accommodating hosts! "My husband and I stayed at the St. James in July and it was amazing! The house was beautifully decorated and felt like home away from home. We wanted a place close to NYC for a quick and easy get away. The St James was perfect. Clean, close walking distance to town, and a gorgeous garden for peace and privacy. I highly recommend it!." Sept, 2013. Great weekend escape in a beautifully restored house. "The Saint James is a beautiful home located in Kingston. We were in Kingston for a wedding an the home was just perfect. It is easy walking distance to the center of town with great restaurants and shops. "I had a great time at The Saint James! The house is beautifully appointed, clean, and conveniently located. We were able to walk to bars, restaurants, and much of the town's shops. During our stay we had a snow storm and the sidewalks were shoveled and salted immediately without us having to request so.